Do you use your tarot as you would the Emergency Room, or do you use your tarot the way you would the Health Food Store? Jeanne is a tarot maven, with creations ranging from tarot wrapping paper to bags to books to instructional videos—all found at TarotWorks. In addition to her youtube videos you’ll find lots of helpful advice in her book Tarot Spreads and Layouts, especially as it relates to tarot for personal insight. In some ways, the title is a misnomer in that this short but pithy book contains far more in terms of sensible advice and good reading skills than you get in most other books. How often, as I read her text, I found myself thinking, “I wish I had said that!” To give myself credit, occasionally I have, as Jeanne is not reinventing the wheel but succinctly describing methods that take years to discover otherwise—in a no nonsense and elegantly easy-to-understand way. 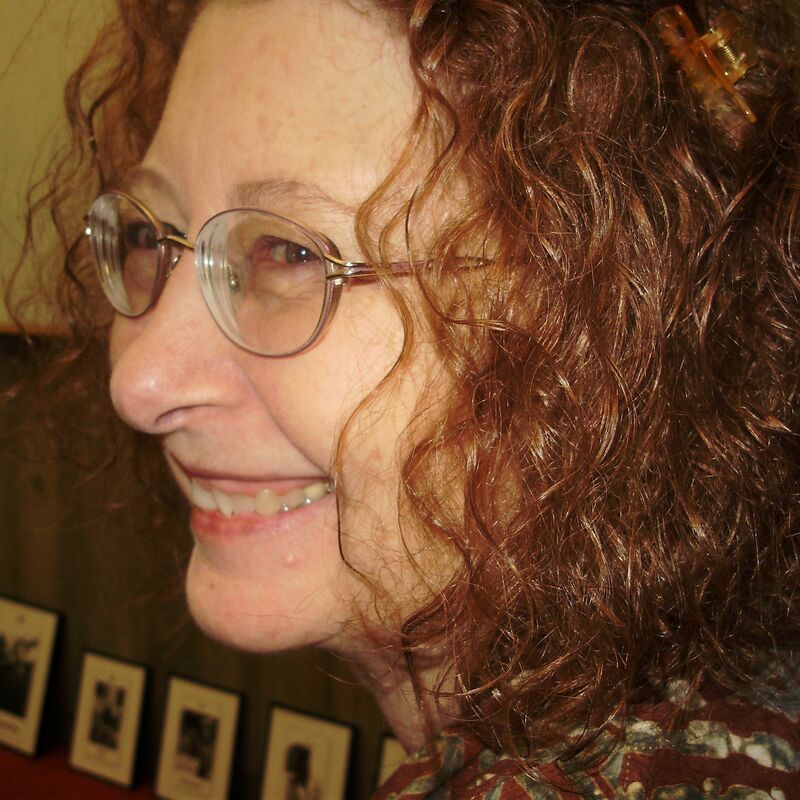 In a recent article in the American Tarot Association newsletter, Tarot Reflections, you can learn how Jeanne has integrated her studies of Psychosynthesis with her approach to Tarot. helpful hints and reminders about intention, focus and attitude. I laughed when I saw the helpful hints, which are found in boxes headed “Important,” because, when drafting my first book, I found myself constantly writing “it’s very important to remember that,” and later editing it out as a superfluous phrase. But, it’s not. And, Jeanne has made sure you don’t miss these valuable reminders that experience brings. People are always asking, “But how do I integrate the cards’ meanings in a spread?” This book will help you do that better than any other I’ve seen. 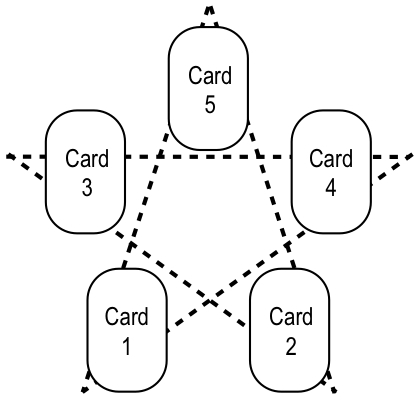 You’ll find that the earliest, one, two and three card spreads build skills and understanding that you can draw on for the later, more complex, spreads. I can’t imagine how you could help but become a really insightful reader if you actually do the spreads as suggested. My only caveat regards “expanding the layout” with more cards. My advice is to dedicate your time and attention to the cards you first received. In most cases, they contain everything you need to know—if you are willing to dig deeply enough. Pulling more cards before you’ve understood the ones you’ve already got is, all too often, a lazy cop-out and looking for an easy answer (just my opinion). Consider, before you begin, whether you might want to add one or more of the expansion questions into your spread in the first place, or draw additional cards only when you realize that something is truly missing from your picture of the whole. As an example, I’m going to present a partial reading of Jeanne’s 5-card Goal-Setting Star Spread. I’ve used Tarot of the Sidhe by Emily Carding. My intention is: What do I need to know to help me publish a print-on-demand plus e-book? Dancer Five (5 of Cups) tells me that I’ve already completed a phase of my publishing history that includes the disappointment of writing several books that have come out at the same time as other people’s books on the same subject. That ship has sailed. Dancer Nine (9 of Cups) suggests that I need to trust in my imagination, so I can follow my bliss and rediscover my own magic. Risks include that I might get too fanciful or self-indulgent. I could inhibit my own progress, as my Soul Card is The Hermit. It is hard for me to change old habits and get out of my isolated retirement. My own desire for perfection might keep me from completing my goal. But, the Warrior Prince (Knight of Wands) urges me to move aggressively forward with inspired enthusiasm and not to hesitate. There’s a sense that the new challenge could bring growth. Warrior Three (3 of Wands), in this deck, stresses collaboration and a proper alignment of forces. As a result I can expect that it might be the right book at the right time, to which others will respond favorably. Jeanne’s spread guidelines suggest looking at the relationship between what has been established and what needs to be developed. Going from a Five to a Nine Dancer (Cups), says I need to release old disappointments and move to a new level. Confirming this is the backward-looking Hermit, which can hinder me, and the forward looking Prince who demands action. I react to the Hermit with a comfortable understanding (he’s my Soul Card and the only Major Arcana), while the dynamic energy of the Warrior Prince is daunting. There are two each of Water and Fire (which, according to the Golden Dawn, cancel each other out). Here, they represent the dual nature of wanting to stay put or go with the flow and wanting to do something fiery and new. I didn’t use reversals, nor are reversed cards described in Emily Carding’s book, but I decided to get a sense of what might be reversed, so I mixed up the five cards, turning several over as I mixed them, then put them back in their original spread positions. The three cards of what needs to be developed, best actions and likely result (positions 2, 4 and 5) were all reversed, indicating to me a resistance to getting moving on this project and a tendency to lethargy and inaction. What I get is that it will take a willful commitment to act on this, but it could be exciting and at least relatively successful if I go ahead. I’d like to acknowledge Schiffer Publishing, who produced both Jeanne Fiorini’s book and Emily Carding’s deck. Schiffer is producing some of the most outstanding and creative examples of tarot, taking it in new directions and giving tarot exciting new forms of expression. Mary, I’m so glad you agree with me. I recently published a post in my blog with advice on how to face “difficult” readings, the ones that seem to make no sense or are hard to understand. And one piece of advice I DIDN`T include was to pull out more cards. It often makes things more complicated,and more often than not the cards that form the original spread contain all the information you need. There are time sindeed, specially in small spreads, when you may need one more card (or two) but I think that most of the time it is better to stick to the original number of cards in your spread. At least, it’s my experience. 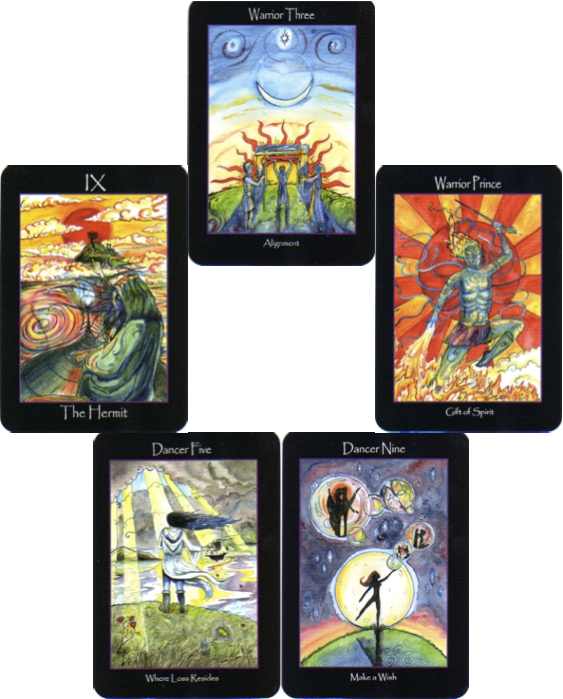 Which deck you use for a reading can greatly influence the interpretation. For example, the 9 of cups in the deck used suggests flights of imagination. The same card from the Waite deck might suggest satisfaction and confidence derived from previous successes. The same card from my Senet Tarot of Ancient Egypt might further suggest that based on those past achievements the person could look for the areas in which she can demonstrate leadership for the benefit of her readers. I agree with Rozonda that pulling more cards is usually not necessary and may mean insufficient study of the cards already laid out. On the other hand, there are times when just one more card brings the reading to a striking insight. You have to go by intuition.